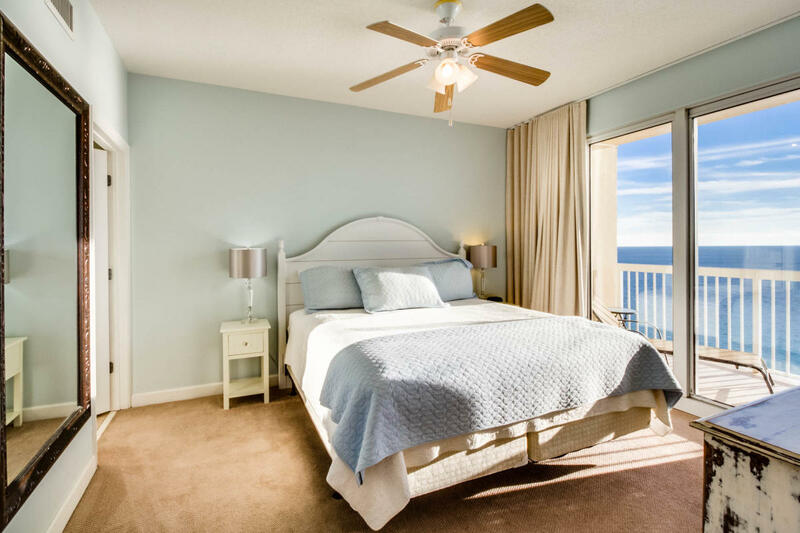 This beachfront unit is conveniently situated off of Thomas Drive and is located on the 19th floor of Seychelles Condominiums. 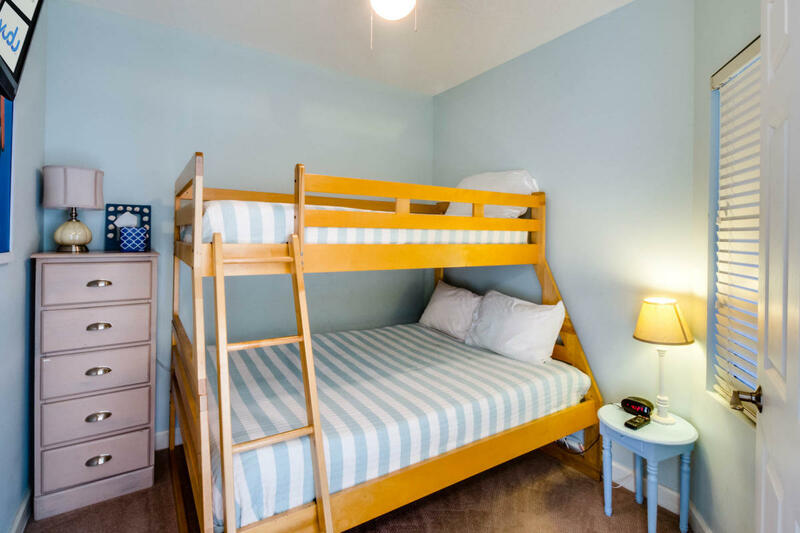 Comfortably sleeping up to 7 occupants, this condo features one King bed, a bunk area for three with a Full on the bottom and a Twin on top, and a Queen sofa sleeper. 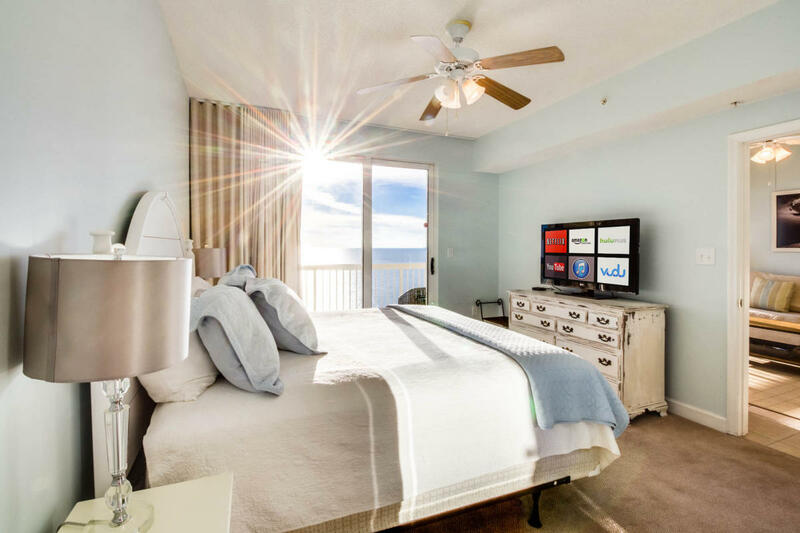 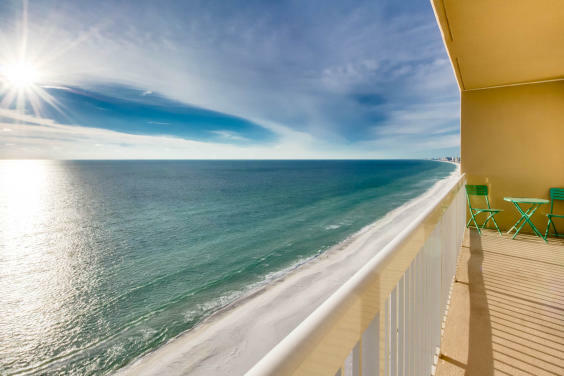 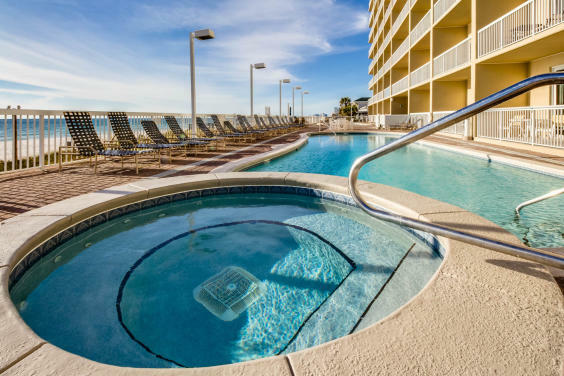 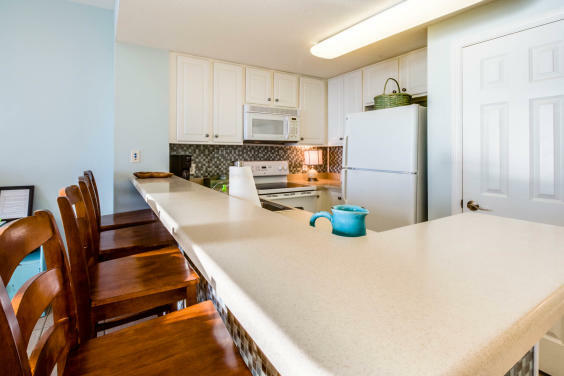 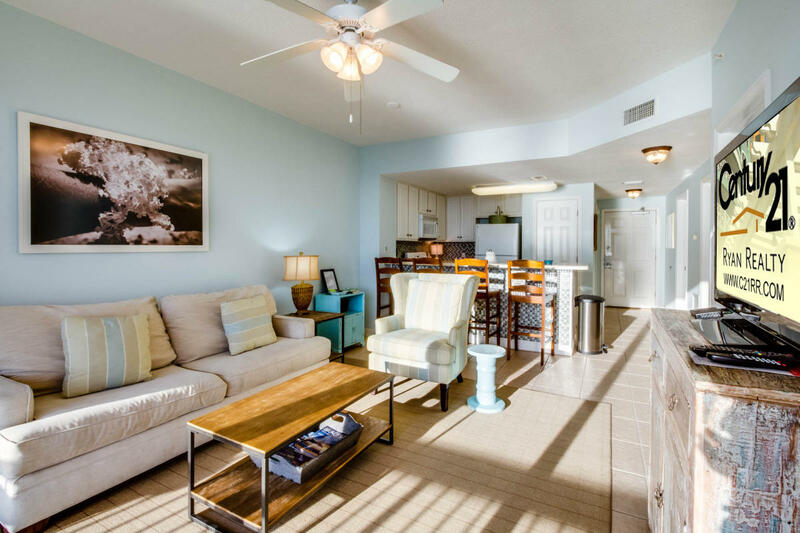 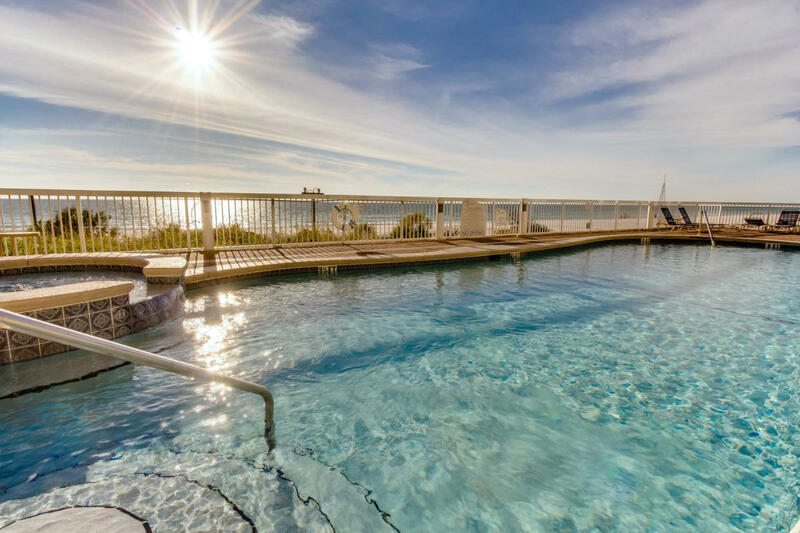 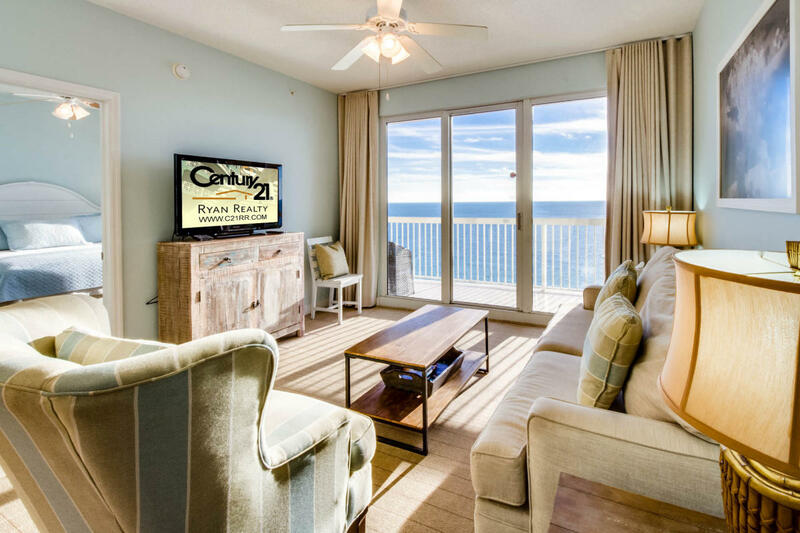 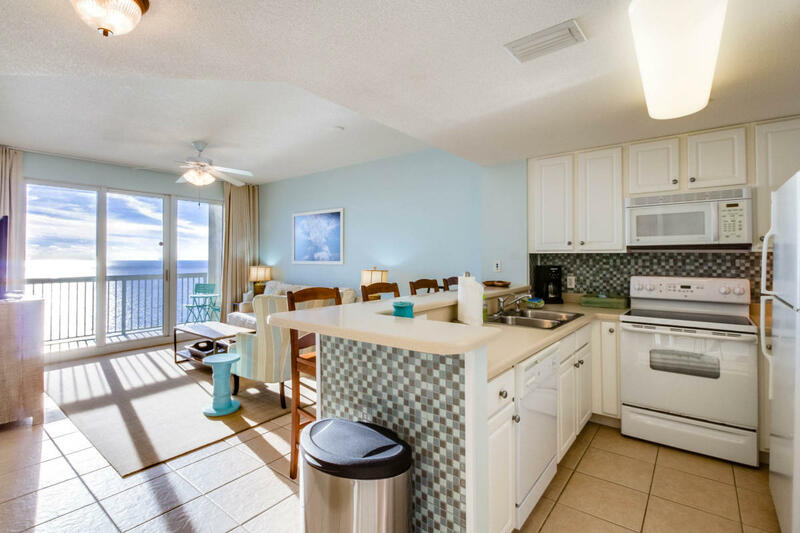 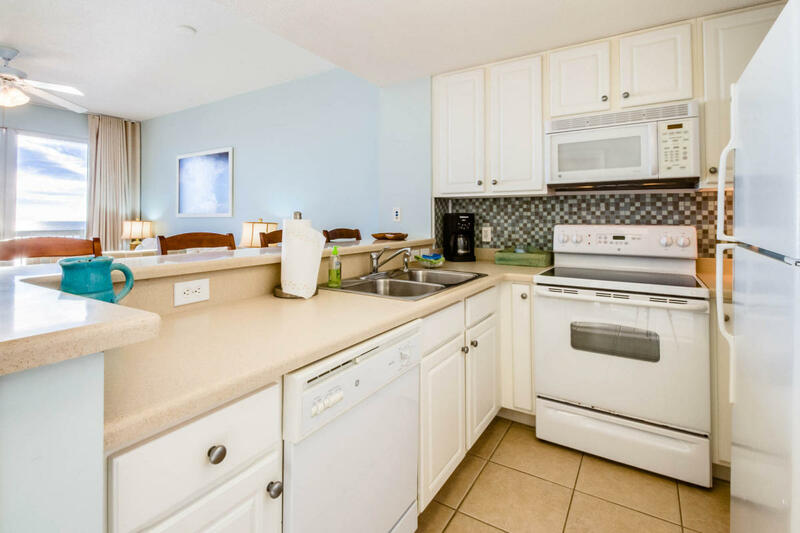 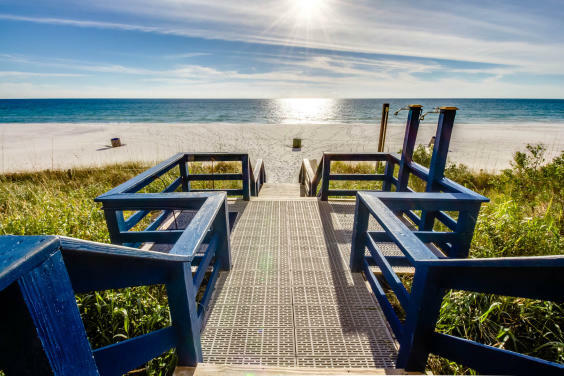 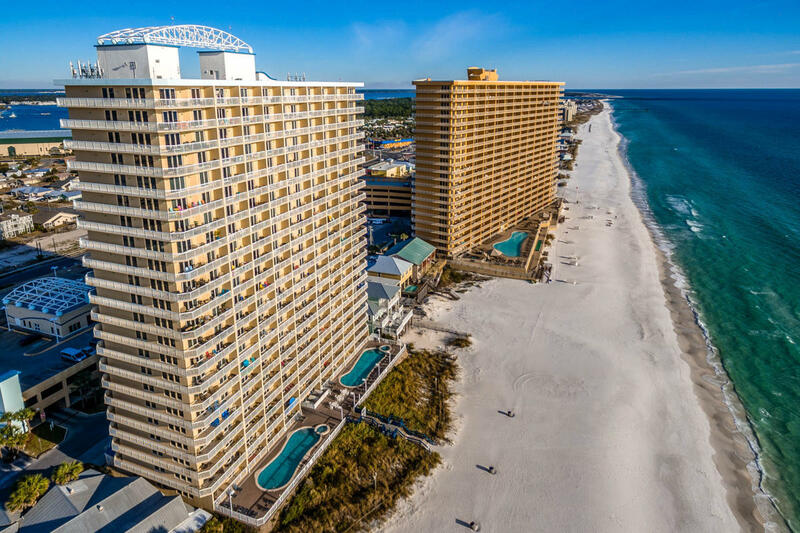 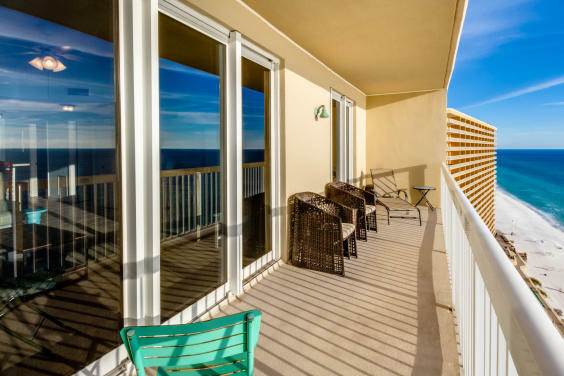 This condo is one of only a few units in the building with the premium floor plan that offers a 25 foot wide balcony and spectacular ocean views from the living area as well as from the master bedroom. 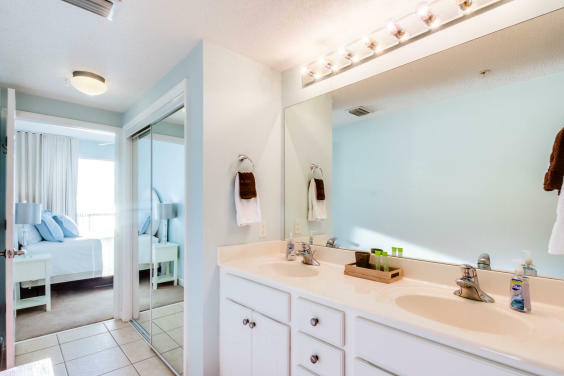 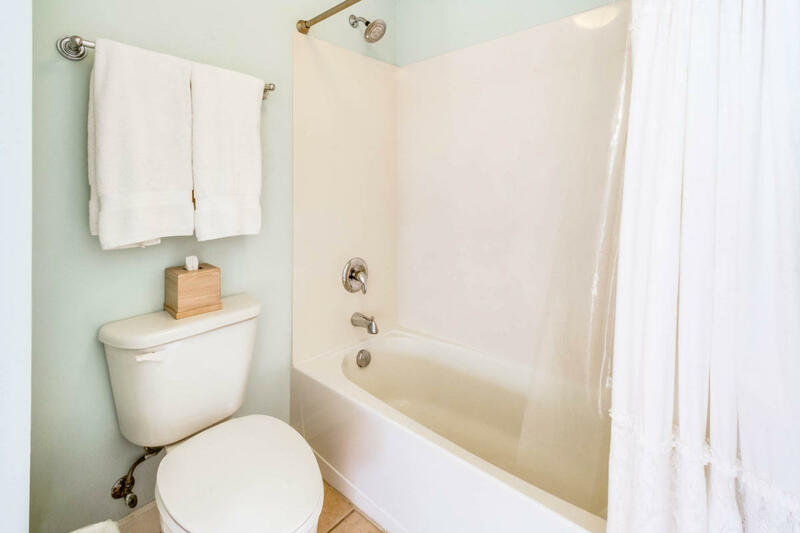 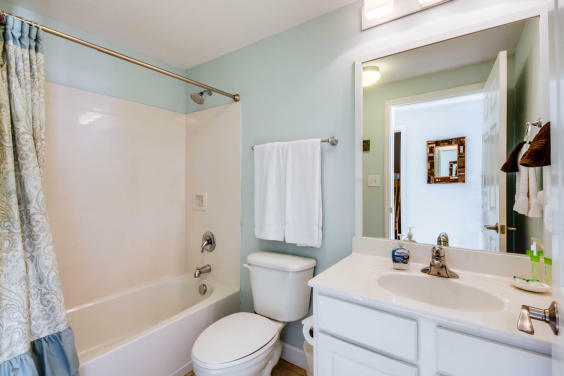 The master bedroom offers an adjoining private bathroom and there is another full bathroom located in the foyer entry. A stacked washer/dryer is provided in the unit. Seychelles amenities include direct beach access from the pool deck, two beachfront pools (one heated seasonally), beachfront hot tub, exercise center, game room, and complimentary WiFi.